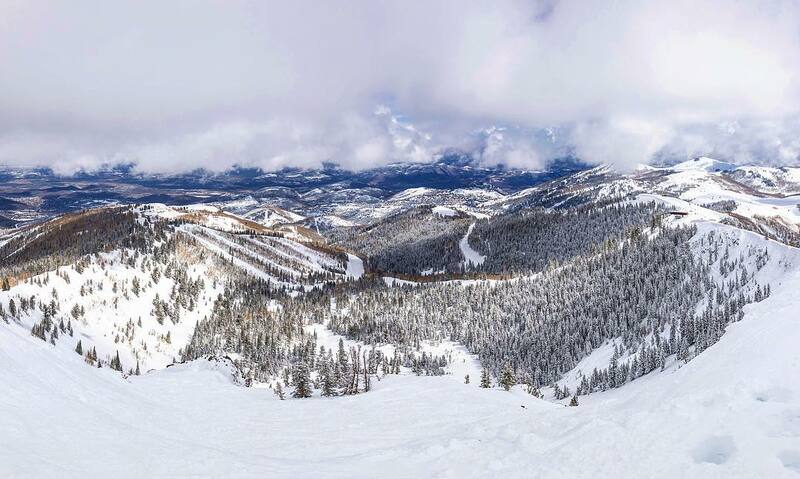 Park City Mountain Resort | Ski Trips to Best Ski Town In U.S.
Park City Mountain Resort is ranked No. 58 in North America for its total snowfall during an average season. Vail Resorts has thoroughly invaded the Park City area, giving skiers heading to Utah some interesting options with opportunities to get in on Vail's Epic Pass, and the now-realized prospect of linking Canyons and PCMR into one European-style uber resort—now and forever to be known as Park City. Vail poured $50 million into making this megaresort happen—and the early results look enticing. Park City townies have long debated the merits of PCMR versus Canyons versus Deer Valley, but with one of those resorts now removed, the debate becomes less intense. New debates will likely pit the Jupiter lift vs. the Ninety-Nine Ninety lift, now both of PCMR, as they're the two best chairlifts on the Park City side of the Wasatch. As with many western resorts that see large numbers of tourist skiers, the key to PCMR is getting away from the front of the mountain as quickly as possible. Skiers arriving at the main base should get up Payday, a high-speed six-pack, and not return to the bottom of that lift until the end of the day. Skiers taking the more civilized way into the resort—from the Town Lift that descends directly to Main Street in one of the ambience-rich settings in the ski world—should heed the same advice and avoid the main base area. Keeping away from the base area altogether, and skiing back to Main Street to close out the day with a beer at, say, No Name Saloon, is a classic sequence that we recommend. Once up Payday, skiers usually funnel into Bonanaza, another high-speed sixer that runs flat along the resort's front spine. There's little terrain worth skiing underneath this lift as it doesn't gain much vertical. From the top of Bonanza, skiers can dump off to the right down runs that lead to Thaynes Canyon, one of the main loins of PCMR. Lift lines at Thaynes and Motherlode can get long on big days, especially if openings on McConkey's and Jupiter get delayed from avalanche control work. Those not wanting to wait can keep cruising down the canyon to pick up King Con at the end, which can be parlayed into a ride up Silverlode back toward the centerpoint of the mountain. The runs channeling to Thaynes Canyon are typical Western-style tracks, some groomed flat, some bumped up, some with skiable trees. 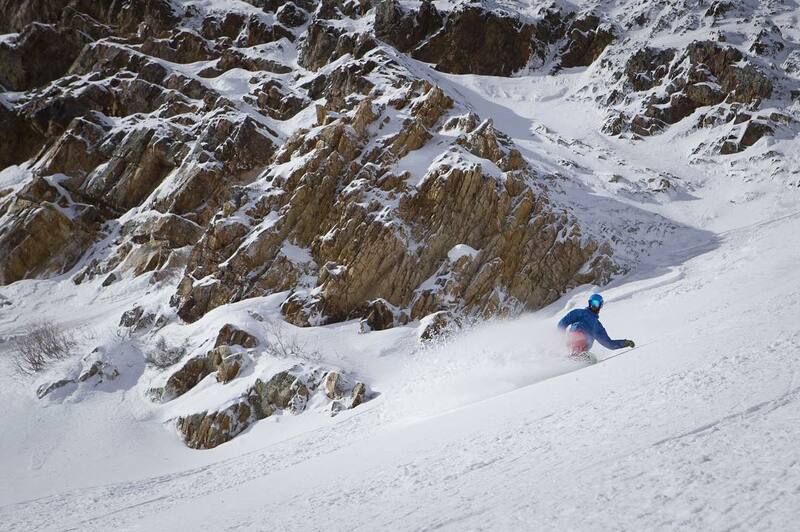 Expert skiers flock to McConkey's and Jupiter lifts. The former lift, while its immediate terrain near the top is steep and treed, is vertically challenged. The good fall lines expire quickly and leave skiers skating back to the lift after minimal rewards. 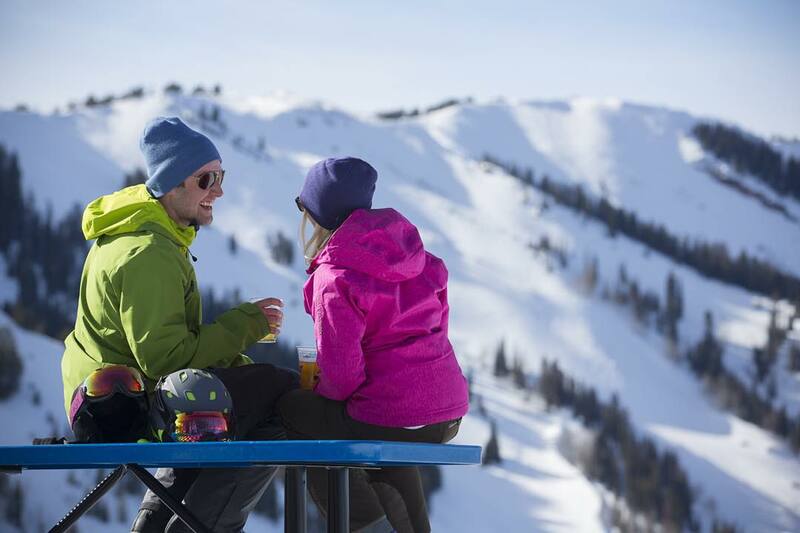 McConkey's offers a nice view into Deer Valley's Empire Canyon, where certain fabulous people are known to have been married, but its skiing offerings will underwhelm unless it's being used as a hiking trailhead to access the East Face of Jupiter Peak. 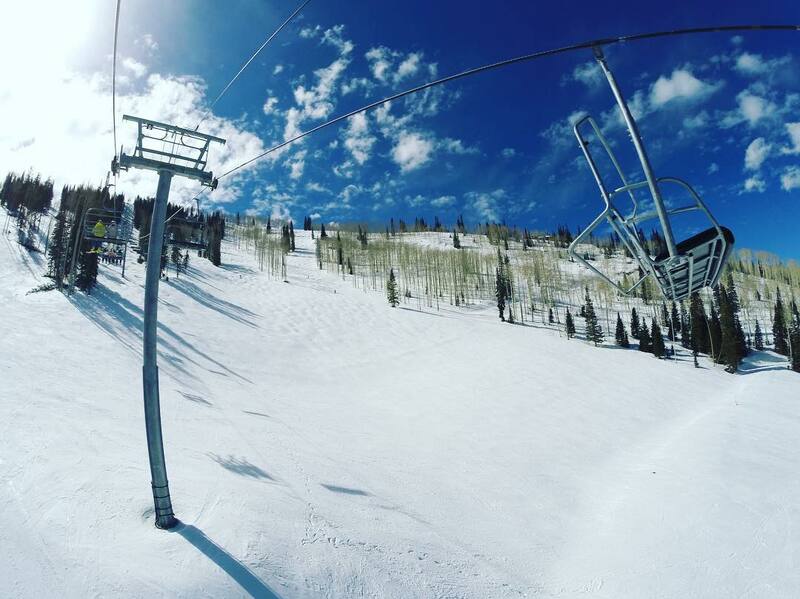 The Jupiter Lift, the chair that so many Park Cityans swear by, gives skiers multiple options for skiing legitimate expert terrain. Skiers can launch straight underneath the lift and get the easily accessible powder first, keeping their subsequent laps reaching further and further to skiers' right, which offers rawer terrain with healthy rock outcroppings, trees and steeps. Skiers treading this direction should keep their speed toward the bottom of their runs; getting back to Jupiter involves a lengthy run out, often through terrain untrod by snow cats. Dozens of visiting skiers get stuck in flat powder fields every week, costing them 20 minutes of sweaty effort to get back to the chair. 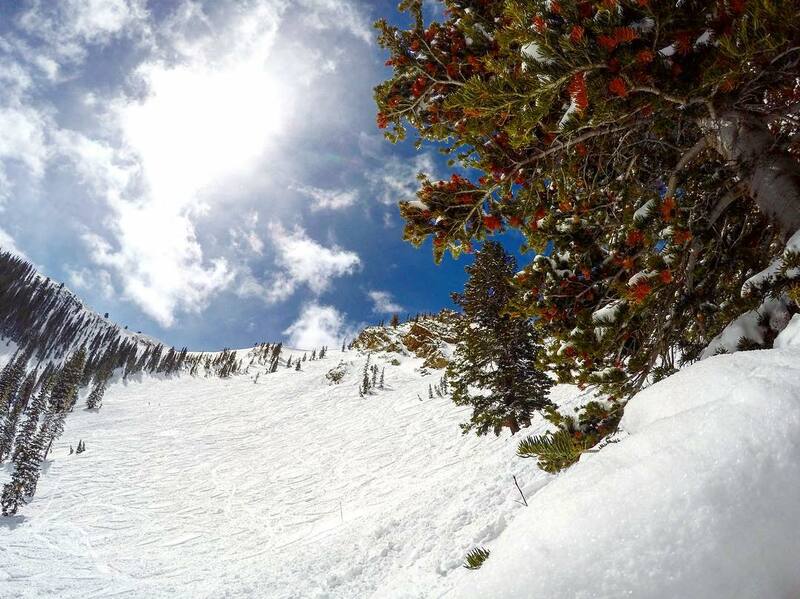 Skiers setting out toward skiers' left can get some immediate goods in the trees, or can opt for a ridge hike that will take them past a couple of inviting chutes before leading up to Scott's Bowl, a local favorite. Traversing further down the ridge buys skiers other shots leading to Thaynes Canyon. 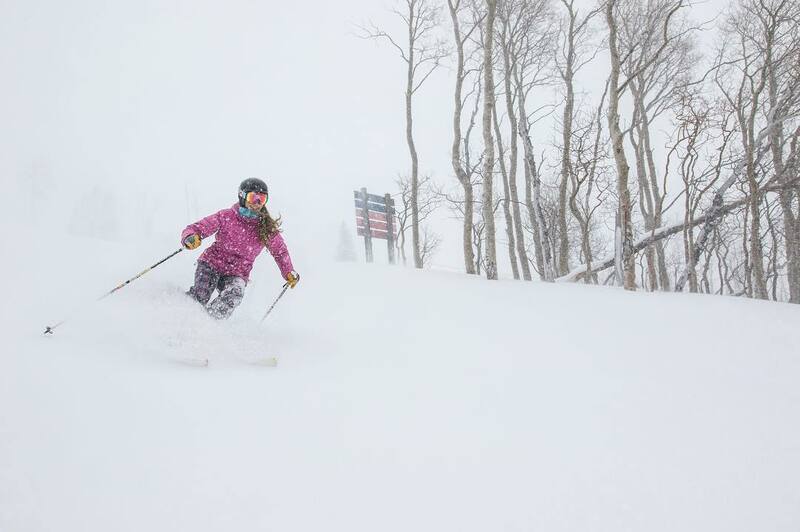 Powder can be earned here, even days after a storm. Tony Crocker, who is responsible for ZRankings' snow data, believes that the snowfall that settles on the top end of PCMR, around Jupiter Peak, compares favorably to the backend of Big Cottonwood Canyon, which sits just behind it to the West. Two of us others at ZRankings, having lived in Park City for several years, aren't convinced of that effect being noticable when comparing Jupiter's snowfall with that around the 9990 lift at the Canyons, but Tony isn't the only person who holds that hypothesis. Overall, however, Park City, like Deer Valley and Canyons, receives a shadow of the snow that graces the Western side of the Wasatch just over the ridge (Alta, Snowbird, Solitude and Brighton). Snow aside, PCMR offers skiers a town-skiing setting that's only rivaled by Telluride and Aspen. 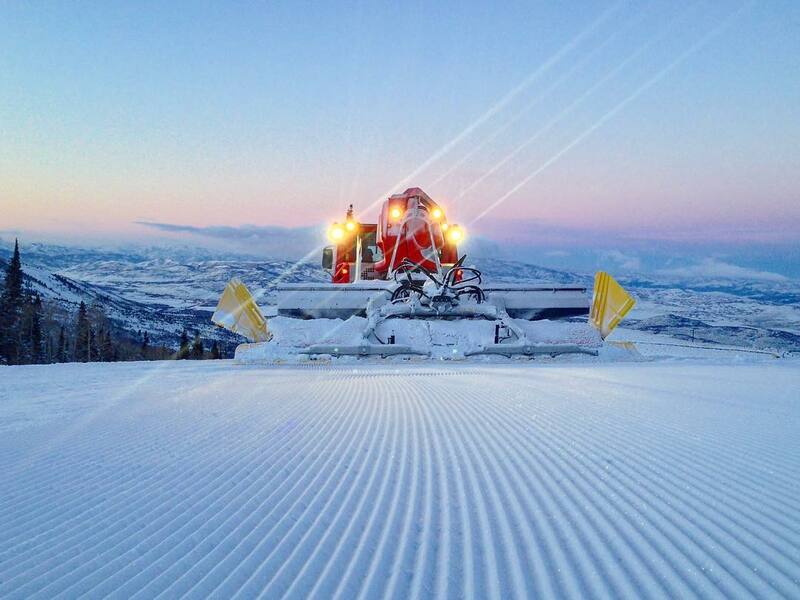 It belongs on every skier's list. 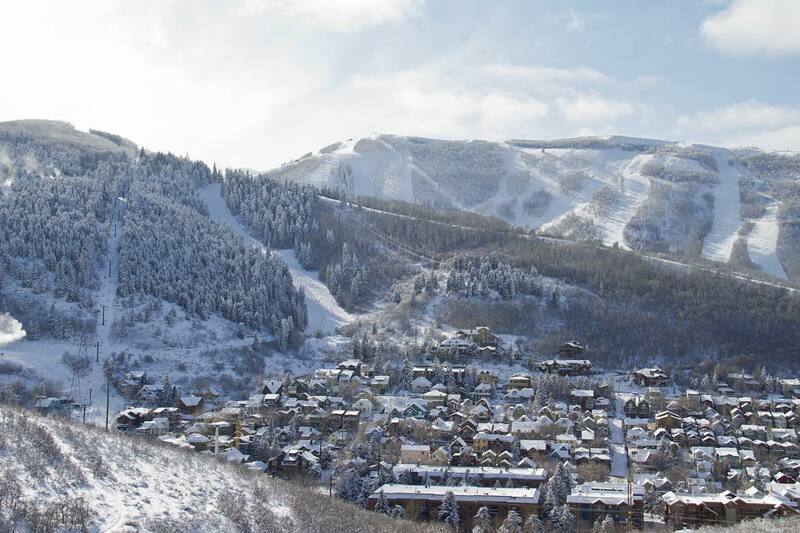 Is there any town in all of the world that so explifies the tangible, innate and nuanced characteristics that a quintessential ski town must with the natural ease that does Park City, Utah? Not one of which we know. There are several other towns that can lay claim on such exalted status: Telluride, Aspen... maybe Steamboat. After that, the list gets pretty thin. Park City has what all of these other towns have, plus it has three world class ski resorts built on top of it. Park City has all of the swank of Aspen—the Sundance Film Festival calls this place home—with abundantly cheaper lodging, more character and a glitz layer that's far less suffocating. And Park City has what few other ski towns do: a major international hub airport 35 minutes away. Driving this short stretch of I-80 from Salt Lake to Park City is a routine commute, nothing like the two-hour-plus schlep that skiers must face going from Denver International to the resorts on I-70 in Colorado. Park City's bar scene gives skiers multiple options that fill up with partygoers for the entirety of the season. Main Street even has something of a big city dance club in Harry O's, a place where random brahs can mingle with the paparazzi and the stars they chase on the dance floor. Those looking for a more subdued scene can duck next door to O'Shucks, a bar that townies rule Sunday through Thursday, cedeing the place to tourists on the busy weekends. John Malkovich has been known to stop in at O'Shucks, however briefly, during that week of Sundance. Buy him a bottle of Budweiser (it can't be draft) and a shot of Jagermeister if you see him. Good options abound. We recommend anything in Old Town within walking distance of the Town Lift. This arrangement keeps vacations car-free and gives skiers the true Park City experience. Park City’s snow record is average among Rocky Mountain areas but varies significantly within the ski terrain. 12.5% of winter days with 6 inches or more of snow is near average, 15% of winter months with 30 inches or less is better than average, while 9% of months with 90 inches or more is worse than average. Jupiter Bowl is as close to Brighton as it is to the rest of Park City and accordingly averages 364 inches of snow. By contrast the base area gets about 150 inches and is snowmaking dependent in the early season. 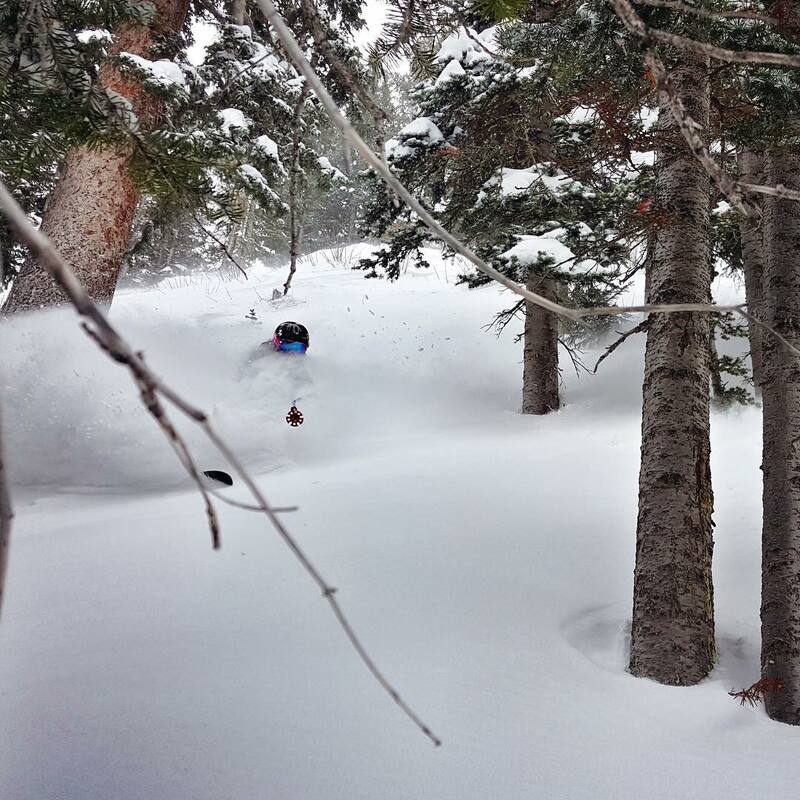 Quality of fresh snow is excellent as elsewhere in Utah. 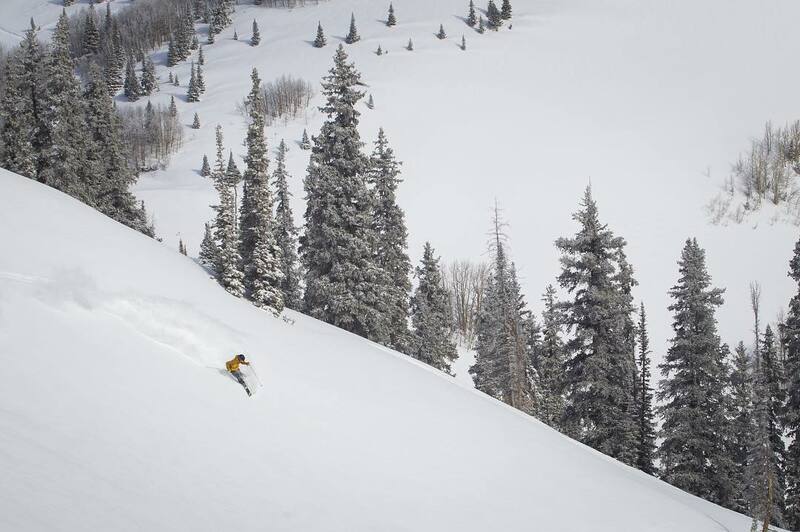 Park City's layout (the steep Jupiter area getting the most snow) contributes to a decent early season record. 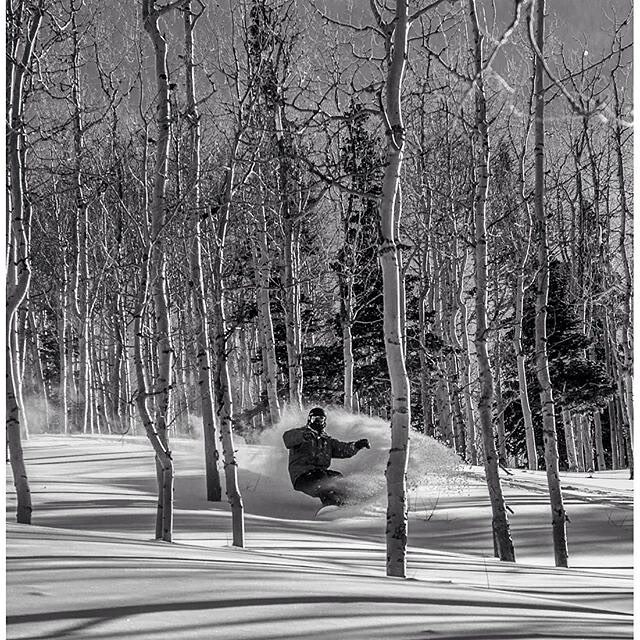 Park City averages 77% open at Christmas with about 20% of seasons being less than half open by Christmas. Snow preservation on Park City's upper slopes is good, but the much of the lower terrain faces east and can melt/freeze when it hasn't snowed recently. 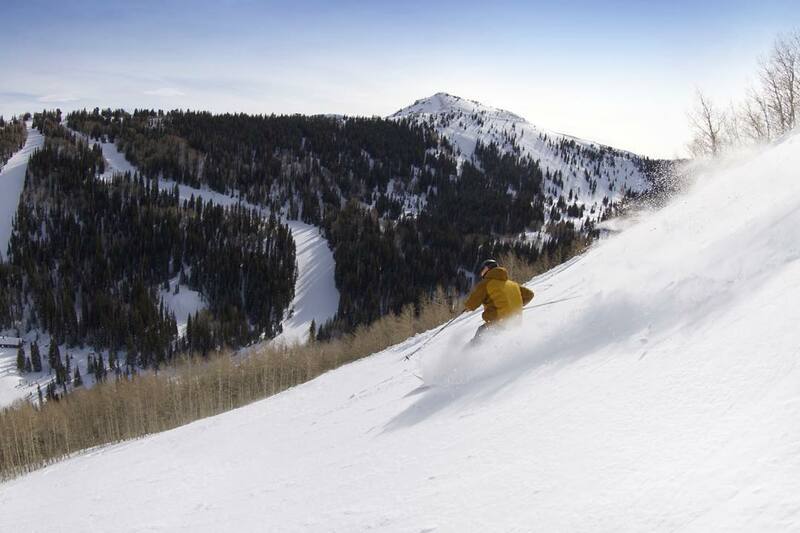 Park City like many resorts has its most reliable snow conditions from mid-January to mid-March.